A Guide To The Coolest And Best Bicycle For 10 Year Old Boy. At 10 years, your lad will most likely find a 2-wheeled machine the perfect pastime. And as a parent or his close buddy, the least you can do is gift him the best bicycle for 10 year old boy. Now, like other kid’s bicycles, bikes for 10 year olds are certainly made with first, the kids safety in mind and secondly, to be as much fun as possible. I was recently helping my older brother buy a bicycle for his 10 years old guy as a birthday gift and discovered that nowadays, there’s so much choice for this cycling-loving age group. And I will be sharing with you shortly. What is the Bike for a 10 year old boy? The best bike for 10 year old boy is that which fits him properly and is well built to deliver abundant comfort, whatever his riding style. The bike should also be safe and super easy to ride. Then, and most importantly, it should be able to withstand abuse- boys are boys- and not be the type that has endless mechanical problems. This Is What You Should Keep In Mind When Buying The Best Bike For A 10 Year Old Boy. Now, the secret in getting such a bike is in knowing the key features that can make or break a bike. The thing with children bikes is that most kids’ bicycles are sized from the wheel and not the frame like adult bikes. Check the bike sizing charts from the seller and if possible, let him try out the various models. If it’s the best fit, he will be able to sit comfortably and reach the pedal. An adjustable seat height is better as he can raise or lower it appropriately. On top of being comfortable, the saddle should be slightly concave so that he doesn’t slip forward. How well can he cycle? Then, can your boy safely control it? It happens that some boys can steer, pedal and brake quite naturally while others struggle with some of these skills. Investigate your child and understand what he can/can’t so that you can buy what’s right for them. Boys with special needs may need additions like trainers on them. Kid’s bikes are supposed to be light and easy to handle. A carbon flame is extremely lightweight followed by aluminum and lastly, steel. Heavier frames are a major issue as they may make kids bikes difficult to ride and lift. The frame’s design is also crucial as far as access is concerned. Here, a lowly step-through frame provides the easiest way into/out of the bike and is the predominant design among the best kids bikes. As I mentioned, boys are boys and capable of trying out dangerous stuff. The last thing you want is him to suffer injuries or hit others because the bike failed to stop. Solution? Ensure the brakes are functional and instant. Preferably, a bike for 10 year old boy should last for years. After all, he may have a younger brother and even if not, it doesn’t make economic sense to keep spending on bikes while there are some very high-quality bikes for ten year olds. Check its overall construction and ensure that it’s a model that can last for years. And while at it, know that pneumatic tires are always lighter and will roll better. Again, the wheels should spin freely and easily. Arm him with enough shields….a helmet, high-visibility clothing, and ensure his bike has good lighting and a bell. Additionally, a chain guard helps protect his little hands & legs from the risky bike chain and can keep him from injuries as well as protect his clothes. Lastly, buy a set of warm kid’s winter cycling gloves because he will still want to ride even when the cold season rolls in. Certain accessories make a kid’s bike exciting for them. I am referring to water bottles (and their holders), baskets, bike racks (for his bags and dolls! ), spokey dokeys, knobby tires, and even bike stands. There could be more depending on the brand and while they’re not deal breakers, some boys love to have them! Different Types Of Best Bike For 10 Year Old Boy. As I hinted earlier on, there’s so much choice. Road bikes, mountain bikes, BMXs, balance bikes…you have them all. And the good thing is that it’s not one manufacturer dominating so you have plenty of options in case you don’t like a particular brand or feel that the price is unfair. If your little man is an avid rider and loves doing the distances alongside you, a dedicated kid’s road bike will suffice. Entry level kids road bikes are designed to be easier for young boys to cycle for miles without getting tired. They have excellent shifting, superb tires, and aren’t too stretched out so he will bike comfortably and cruise alongside you. The only drawback is that most road bikes for 10 year olds are pretty pricey. If the boy loves the races, you may opt for a BMX bike. BMXs for 10 year olds are built to help them sprint around and engage in daring antics depending on his experience. You will notice their rigid frames and forks alongside high-rise handlebars plus accomplished gears. This very basic construction makes them suitable for first time 10 year olds in addition to ensuring they are easy to learn and maintain. 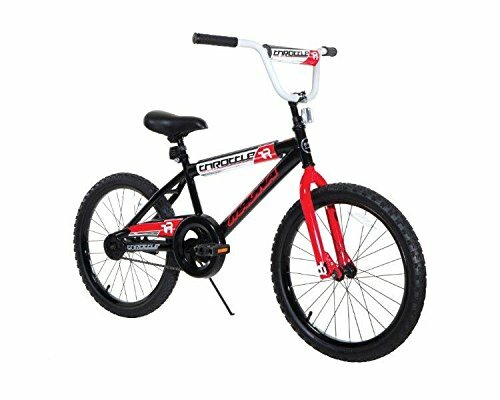 Now, good stunt BMX kids bikes are lightweight hence enjoyable to ride and pull stunts. If you want to start with an affordable one, you can pick something like the popular Dynacraft magna BMX mike 20″ but if your budget allows, the fast- moving Mongoose legion 20-inch wheel freestyle bike is a proven performer. Nowadays you can easily find a very good mountain bike for 10 year old boy if you want to introduce him to aggressive trail riding. Kid’s mountain bikes are engineered to enable young boys and girls to explore rides to off-road places and new trails. They are available as both cheap kids bikes and high-end models with the dominant theme being their unique ability to dominate bumpy and rocky terrain. Most feature a slanted frame, are light and additionally optimized for small riders with weaker pedaling power. Their gears are straightforward and wheels slightly thicker (and knobby) so your young champion will enjoy fantastic traction in all sorts of terrain. 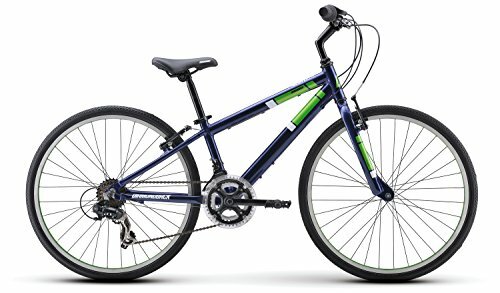 My brother was actually looking for a mountain bike and we settled on the Mongoose ledge 2.1 boys mountain bike. He tells me it’s turning out to be an awesome find and that his boy has never been happier. Hybrid bikes combine the best of mountain biking and road racing and are a favorite choice among 10 year olds. Their features are tailored towards versatility making them outstanding performers both on and off-road. From their multi-terrain tires, superior suspensions, and all the way to the many gears, hybrids for 10 years have everything it takes to dominate all surfaces. 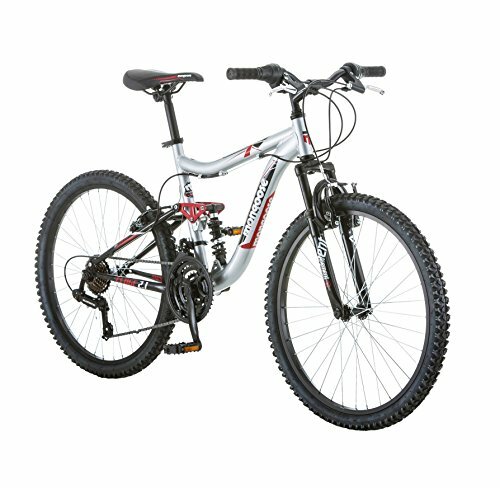 After a bit of looking around, I would vote for the urban-style Diamondback Insight 24″ boy’s hybrid bike. It has outstanding linear pull brakes, rides smooth and is very responsive on paved and gravel grounds. 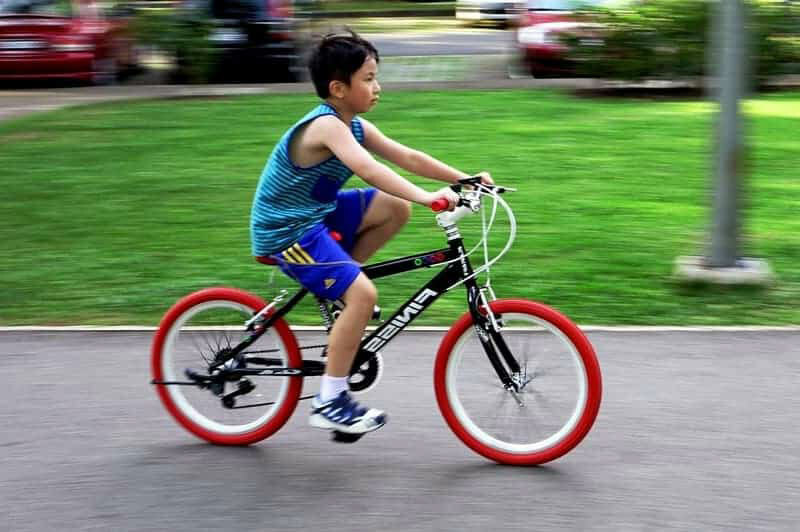 Boy’s cruiser bicycles combine balloon tires, the recommended upright seating posture, single-speed drivetrains, straightforward kid-friendly construction, and expressive styling. They are ideal for young boys interested in casual riding and are very luxurious. They are one of the most stable bikes for young bikers and safest, thanks to the tough coaster brakes. 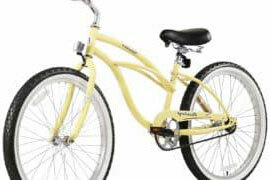 It can have one speed, for example, the Firmstrong urban boy cruiser bike or have a couple of speeds. Cruiser bikes are great for boys graduating to a larger bicycle from training wheels (as well freshers). 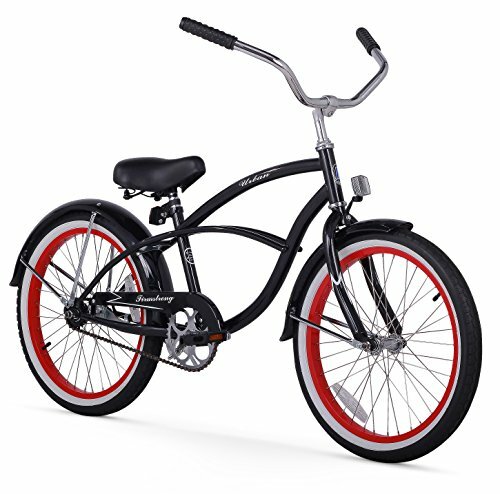 I am now seeing commuter bikes for teens and pre-teens coming into the market. The few I have encountered are as sleek as their adult counterparts and should help your boy monetarily forget about the iPad and the TV. 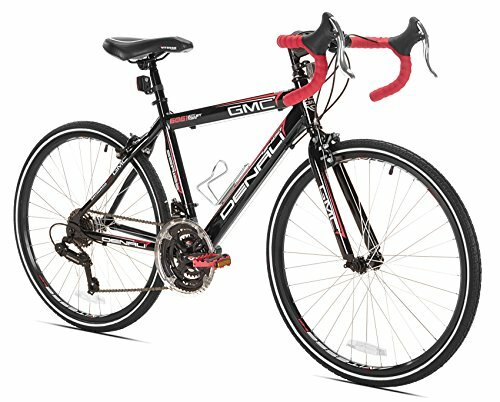 The bikes are easy to handle, have comfortable saddles and come with a smooth drivetrain for the occasional commute. The best bicycle for 10 year old boy can be a road bike, mountain bike, a BMX or any of the other famous types. Regardless, it’s important that it fits him right (check the size charts), is comfortable, easy and safe to ride, and with all the safety essentials. Features like water bottles and baskets are also welcome additions. Also, know his abilities and biking competency as you research. Getting all these correct will help you land the perfect gift for your charming 10 years old son.